Edelweiss franchise business has seen consistent growth in the past few years. With the stockbroker gaining market reputation and visibility, the demand for its franchise and sub-broker partnerships is growing on a similar scale. When checked last, the broker had an employee base of 6,000+ to go along with around 950 business partners. Furthermore, the broker has a presence in 277 locations across different parts of the country. These numbers definitely place Edelweiss franchise business among the top stockbrokers in India when it comes to offline presence and strength. In this detailed review, we will have a quick look at the background of Edelweiss Franchise business, Edelweiss broking as a brand, different partnership models, their respective eligibility criteria, revenue sharing models, associated costs and benefits for you as a business. Edelweiss Broking is one of the leading full-service stockbrokers in India. With a presence in over 122 cities in India and abroad, Edelweiss broking offers multiple business models to its potential partners. The stockbroker was established in the last 1990s’ and since then has been able to expand organically and inorganically. Edelweiss Franchise model is what we are going to discuss at length in this review. But before that, let’s understand more about the stockbroker – Edelweiss itself. This full-service stockbroker has an active client base of 1,13,514 and offers different investment products such as Equity, Commodity, Currency, Mutual Funds, Insurance, Portfolio management services, housing loans, structured products etc. to its clients. Every stockbroker offers different business dimensions to its potential partners so that parties from different backgrounds and business aspirations can connect with them. It’s a win-win for both sides. Each of the above-mentioned business models has its own set of requirements at the business background, infrastructural as well as at monetary levels. Let’s first understand what do you need to fulfil in each of these partnership models for Edelweiss Broking. Strong background in terms of market reputation along with track record in financial services. Minimum 2 years of experience in any of the roles out of a sub-broker, main broker, remisier, MF distributor, ex-employee of a stockbroker, Insurance Advisor. Up-to-date understanding of rules and laws set up by stockbroking regulators, exchanges and other relevant parties in the ecosystem. SEBI or any other regulatory body registration. Few relevant certifications in place as a competitive edge. Office space of 250 square feet or more in a commercial area gives you a definite edge. Staff in your office space in order to cater to potential clients. An investment-ready amount of at least ₹2 Lakh. Having said that, there are instances when the broker lets off some of the requirements if there is some sort of other business strengths offered by the partner. In other words, you do not need to have any office space or an initial upfront capital need in order to fit into the ‘Edelweiss Partner’ model. From a beginner’s perspective, these are reasonable values to their business. 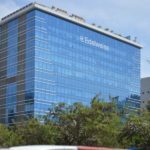 The ‘Elliance’ is a unique business partnership model where one can share his existing client base with Edelweiss broking for opening a demat account with the broker. Transfers securities worth ₹5,000 from the old demat account to new Edelweiss Demat Account. Buys new securities worth ₹5,000 and adds those into the new Edelweiss Demat Account. If none of the conditions is met, then the partner does not stand to get that referral price. Experience of business, financial domain is preferred. A graduate by education, to the minimal and, must hold a PAN & Aadhaar card. As mentioned above, the Edelweiss Franchise model requires you to come up with a capital of ₹2 Lakh to get started. Other models, do have some related fees but the overall capital requirement is not that high. Most of this franchise cost is refundable in nature and once you decide to not continue any further (if that happens), the amount you provide here is returned to you. Furthermore, there are exchange registration-related costs involved that you must be aware of. Depending on the exchanges you want to register for, the corresponding charges need to be paid. There could be a few other charges involved which will be disclosed to you once you get in discussion with an executive from the broker. It also needs to be told that whenever you discuss any costs related to your partnership with the broker, be open to negotiating on monetary as well as incentive levels. This one-time discussion can certainly work pretty handy for you for a long term. 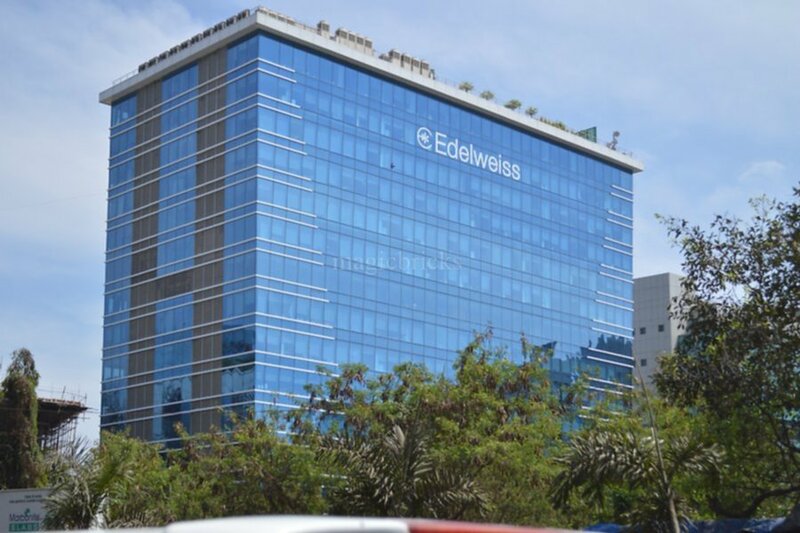 The revenue sharing model for an Edelweiss Franchise is set at 60:40 ratio where 60% of the brokerage generated stays with you as business revenue and rest 40% brokerage goes to Edelweiss Broking. For instance, if are able to generate a net brokerage of ₹2 Lakh in a month, then you get ₹1.2 Lakh as your net revenue and rest ₹80k is kept with the stockbroker. Edelweiss franchise business is known to maintain reasonable timelines and whatever amount you make in a month gets transferred to your account on fixed timelines. This serves as a big advantage in favour of the broker. As mentioned in the above section, you can negotiate on this front as well based on the number of clients you bring to the broker along with the overall brokerage generated. In case you are looking to open an Edelweiss Franchise, you need to make sure that all the specific requirements mentioned above are taken care of. Once you are done, a basic callback will be arranged for you. You will be asked to get some documentation along with some other formalities. A face to face discussion will be arranged with a local executive as well who will be explaining to you about the onboarding formalities. The documentation mentioned above will be verified and processed against your account with the broker. In case you are looking for the Edelweiss Franchise business model, you are required to deposit the initial deposit of ₹2 Lakh. Furthermore, there will be a physical check of the office property you own or purchase for your business. You will also be provided with regular share market tips and reports from Edelweiss so that those can be shared back with your clients. Multiple financial products to offer to your clients, including Mutual funds, Equity, Commodity, Insurance, Housing loans etc. Regular share market tips, research reports, investment ideas, market commentary for you to share those with your clients. A well-established brand with a reasonable brand recall. Consistent support via marketing collaterals, personal advisory, seminars etc. Different trading platforms across web, mobile and desktop systems. Assistance on client acquisition and servicing via different training programs for your staff. Timely monthly payouts with almost no hassle. You can also read this review in Hindi.